The Videx vandal resistant audio kit 4K-1S is based on the 4000 Series modular design incorporating two way speech, electronic call tone and lock release facility. The door station is surface mounted and an engraving of up to 2 characters per button is included. The finish is a 12 gauge stainless steel with gun metal grey surround. Two LED lights give confirmation of call and lock release. 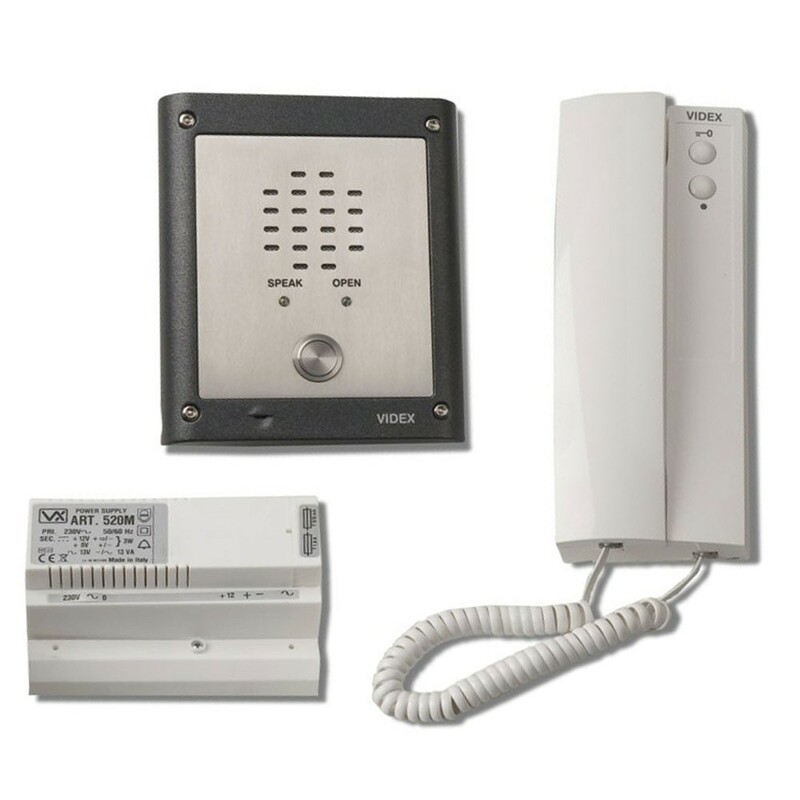 The telephone is wall mount with a lock release button and a three position call tone volume control. Up to 2 additional handsets can be connected in each building.